A revolution in grid intelligence and communications. Shining a light on grid hot spots. Leverage the right, actionable information at the right time. OpenWay Riva enables true interoperability and distributed intelligence to deliver business outcomes for utilities and smart cities. OpenWay Riva provides an open application computing platform on meters and other edge devices to deliver new services to customers, such as load disaggregation, energy efficiency and pre-payment. With its ability to instantly analyze high-resolution data (1-second or better) directly from the meter, OpenWay Riva opens up an entirely new frontier of grid operations use cases. With high-performance battery powered devices, OpenWay Riva enables utilities to deploy a single IP-based network for electricity, gas and water. 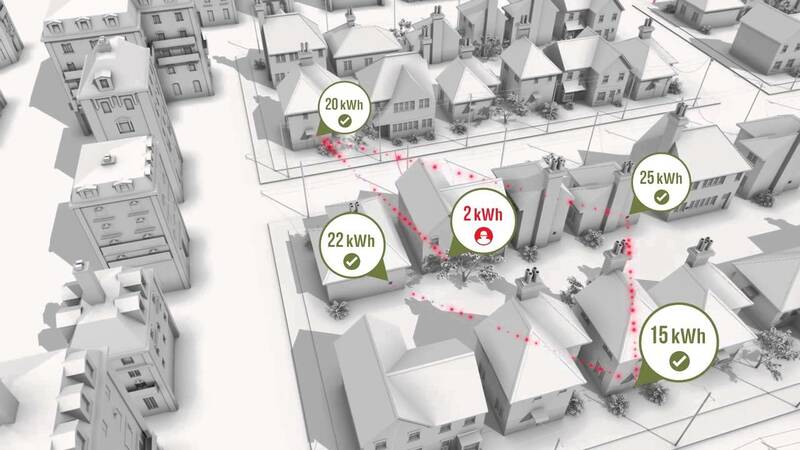 With its distributed intelligence capabilities, OpenWay Riva provides a powerful tool for successfully integrating more distributed generation onto the grid. OpenWay Riva provides measurement, monitoring and control of EV charging to ensure broader adoption of electric vehicles does not overwhelm aging infrastructure. OpenWay Riva meters and other grid devices can communicate directly with distribution automation equipment using native protocols, eliminating need for roundtrip transit of data and commands over the network. OpenWay Riva’s integrated power line carrier (PLC) communications also provides line*-sensing capabilities to create an entirely new level of situational awareness on the lower-voltage network. OpenWay Riva’s streetlight management application saves energy and money, while providing a ubiquitous point of presence for other monitoring applications. OpenWay Riva provides the platform for a broad array of applications to make cities more energy- and water-efficient, more livable, more sustainable and economically vibrant. OpenWay Riva’s adaptive communications technology (ACT) combines multiple communication in the same edge device to deliver both high performance and reliable connectivity. PLC provides line sensing and SCADA-like insight to every delivery point on the network. 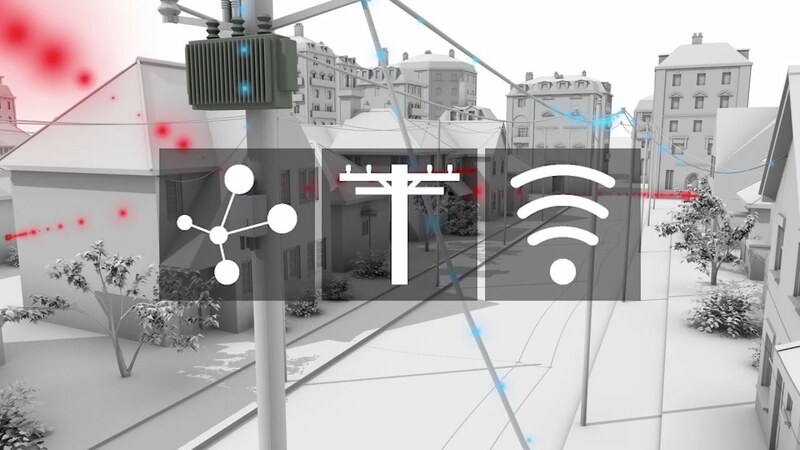 RF allows data to be shared across transformers throughout the network to complete the mesh. WiFi gives your devices the ability to interact with technology inside the home or business. OpenWay Riva runs on an IPv6, multi-application network architecture—developed in partnership with Cisco—with standardized, robust security, state-of-the-art network management tools and IETF Quality of Service attributes. OpenWay Riva can be delivered via a cloud-based managed services model in which Itron delivers the data, the analytic insight and the business outcomes the utility seeks. Collecting lots of data is no longer enough. Today’s business and operational challenges increasingly require intelligent devices that can analyze data at the edge of the network. They require a diverse ecosystem of grid devices and assets, communicating and collaborating to solve problems, creating opportunities and managing rapidly changing grid conditions as they happen. This is the Active Grid, and only OpenWay Riva applies intelligence exactly where it’s needed—everywhere it’s needed—to improve grid safety, efficiency and reliability. Technology doesn't stand still. And as it evolves, the affordability of computing power for edge devices has redefined what is possible for many grid operations use cases. OpenWay Riva harnesses the power of this distributed intelligence by putting the computing power equivalent of a smartphone or desktop computer into every meter or grid device. That means high-resolution data from smart meters and other grid sensors can be quickly analyzed at the edge without having to transport loads of data over the network and back to the utility for analysis. And by high-resolution data, we don’t mean 15- or 5- minute interval data. OpenWay Riva can crunch multiple quantities of 1-second data or higher resolution. No one else can do that. The result is that OpenWay Riva is able to solve grid operations challenges in new and very innovative ways—including detecting energy theft through analysis of current flows in the distribution system. Or maintaining proper transformer loading by controlling nearby loads and generation. Or detecting potentially dangerous grid conditions by continuously monitoring impedance throughout the distribution network. This is the Active Grid. Unlike networks that were built primarily for smart metering, OpenWay Riva features a standards-compliant, IPv6 multi-application network, jointly developed by Itron and Cisco. OpenWay Riva separates the network infrastructure from the devices and applications that run on it—meaning that new devices and applications can be easily added to the network, just like in any enterprise-class IT network. Whether it’s smart metering, smart grid or smart cities and the Internet of Things, the value of OpenWay increases over time. Itron’s partnership with Cisco means that our OpenWay Riva solution provides enterprise-class IT network capabilities and attributes in the field. Grid devices—including smart meters, grid sensors, distribution automation devices, solar inverters or even smart cities and intelligent IoT devices—will easily be added to the network similar to the way a new laptop or smartphone is added to an enterprise IT network. All with robust, standardized security, state-of-the-art network management, and quality of service (QoS). OpenWay Riva provides a full IP-based networking architecture that differentiates us from other competitive systems that tout IP, yet retain proprietary elements to their architecture and applications that inhibit interoperability and choice of vendors for other devices. Itron and Cisco’s design greatly reduces or eliminates risk and dependence on a single AMI vendor for future integration of new devices and applications—driving new innovation, while leveraging an existing, common IT skill set for cost savings. Experience the power of adaptive communication technology. With OpenWay Riva, Itron is first to offer adaptive communications technology, meaning you can deploy a single network solution that incorporates multiple communications technologies—radio frequency (RF), advanced power line carrier (PLC) and even Wi-Fi ready—working in concert in the same device. Adaptive communication technology gives you SCADA-like awareness at every delivery point on the network, keeping you connected like never before. Adaptive communication technology (ACT) automatically detects and uses the most reliable, fastest communication path for your data. The result? Assured connectivity at the highest possible speed, as well as doors opened to an entirely new portfolio of innovative use cases for grid operations. OpenWay Riva communication modules combine RF mesh, power line carrier (PLC) and Wi-Fi communications on the same chip set, in the same device. This enables dynamic and continuous selection of the optimal communications path and the most appropriate frequency modulation. Only Itron offers this communications capability. The OpenWay Riva IoT solution also provides peer-to-peer and local broadcast communications. 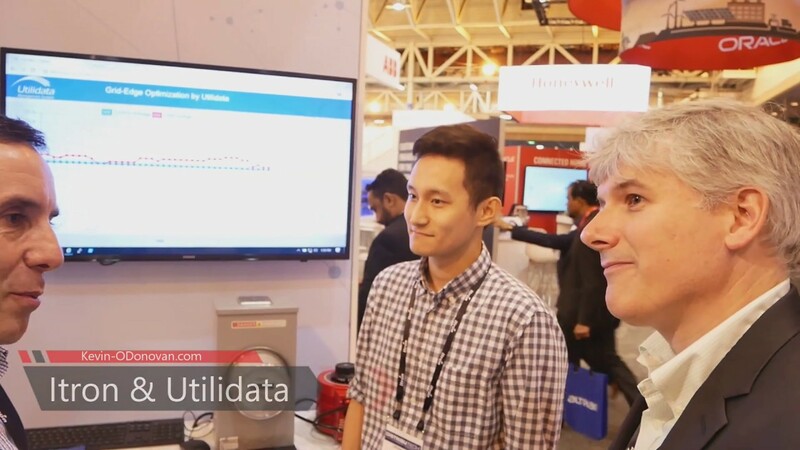 This lets edge devices talk to each other in the field to share and analyze data, and supports new distributed analytics use cases for grid reliability, efficiency and safety. PLC communications enables OpenWay Riva to directly sense the distribution grid wiring, status and connectivity using PLC coupling while peer-to-peer communications over PLC delivers new insight into distribution current flows without adding traffic to the broader network.